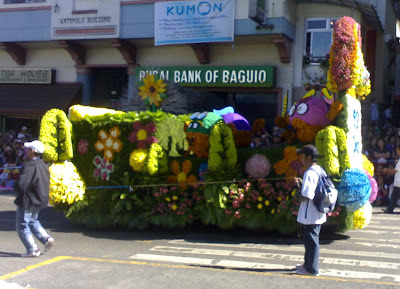 Here's a video I took during the Panagbenga 2009. It took me forever to upload it to youtube so I uploaded it to onetruemedia but still it took a while to upload it. I just wanted to share here a short video of the street dancing competition. There were many of them who joined. 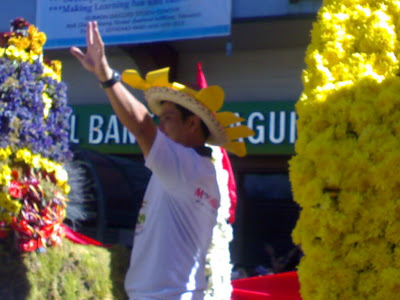 In fact the street dancing parade took half day to finish. 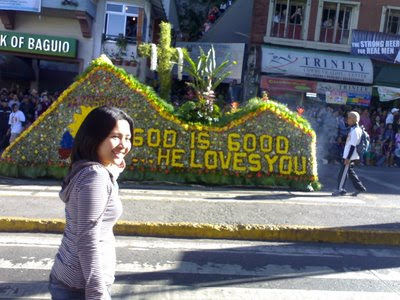 My eyes had a feast watching under the sun in Baguio and as a result, my skin was sunburned. My skin became darker. I bought a whitening soap but it doesn't seem to work. Last Saturday we went to the beach so my skin became darker again. It's okay, I'm a Filipino and most Americans are paying a lot just to have a tan. 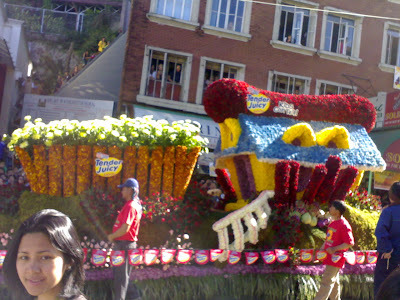 I am posting here too some photos I took during the float parade. 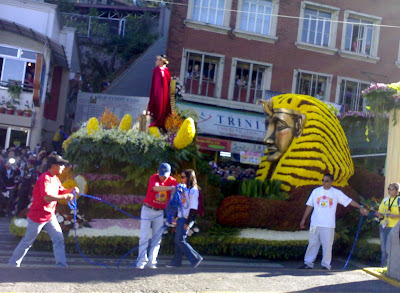 There were some celebrities who were on the floats. 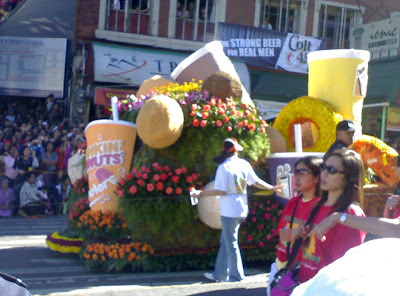 These floats were all decorated with fresh flowers from Baguio.